coLAB is a European Union and Council of Europe funded collaboration to promote inclusive practices in European academic institutions and to enhance understanding and respect towards refugees. At London College of Communication (LCC) coLAB offers teaching opportunities to refugees with expertise in Broadcasting, PR, Research and Journalism: seven participants are taking part this year. 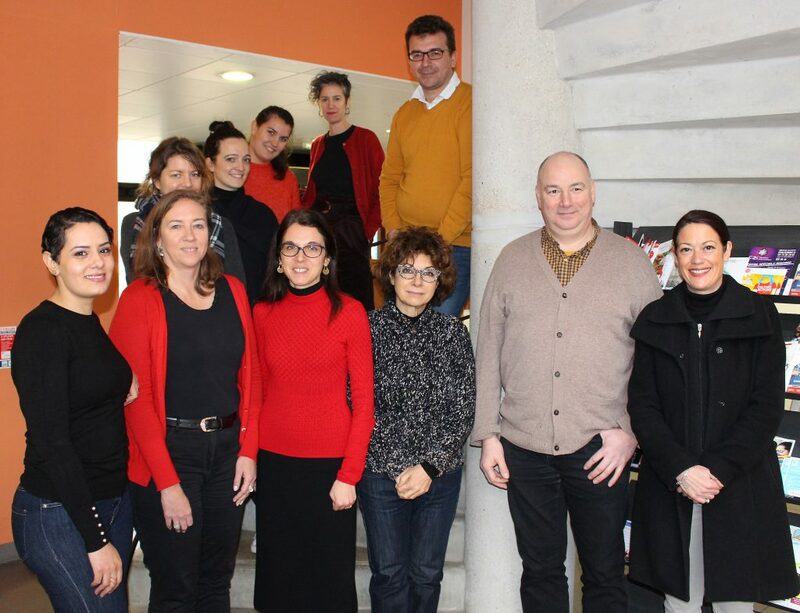 In mid-January 2019 Siobhan Clay, Educational Developer in the Exchange, and Sophie Williams-Brown, International Development Officer at LCC, visited Clermont Auvergne University (UCA) to represent LCC in a coLAB project meeting. The meeting was hosted by Cecilia Brassier, Director of the Department of Information and Communication and lead coordinator for UCA, with representatives from the Council of Europe, an educational consultant and the three other university co-ordinating partners: LUMSA in Rome, IHECS Brussels, and LCC. Vivienne Francis, Senior Lecturer BA Journalism, is the lead co-ordinator for UAL. The team heard progress updates and focussed on exploring future funding streams and collaborations to ensure coLAB develops and has a sustainable legacy. It was also an opportunity to discuss the Toolkit/Good practice Guide which will support other HEIs to implement a similar scheme in their universities. Siobhan Clay’s involvement has been to support the seven LCC participants into learning and teaching practice and theory, through the two day Thinking Teaching course, delivered with Vikki Hill and Lucy Panesar. She has also mentored four of the seven colleagues, supporting lesson preparation, reflecting on teaching and developing practical strategies and material to teach and interviewed students and staff taking part. This entry was posted in News on January 23, 2019 by Teaching and Learning Exchange.